A knitter switches colors as she crafts an intricate handknit pullover. Countless hours and often a lifetime of experience go into the creation of our art knits. Only a handful of knitters in the world have the skill to transform the intricate and original designs we come up with into exquisite wearable art. 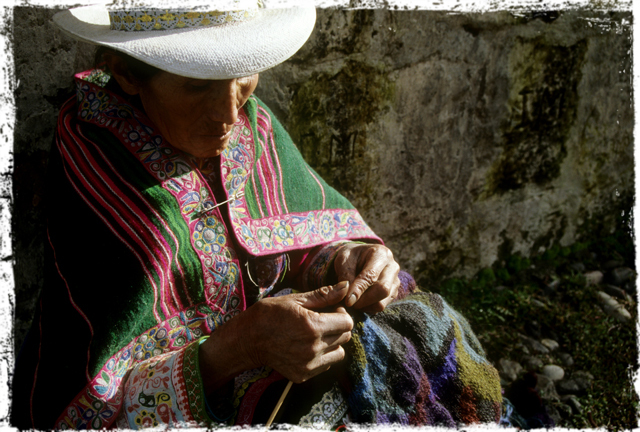 The Andean knitters who knit our designs are lifelong artisans, like their mothers and grandmothers before them. 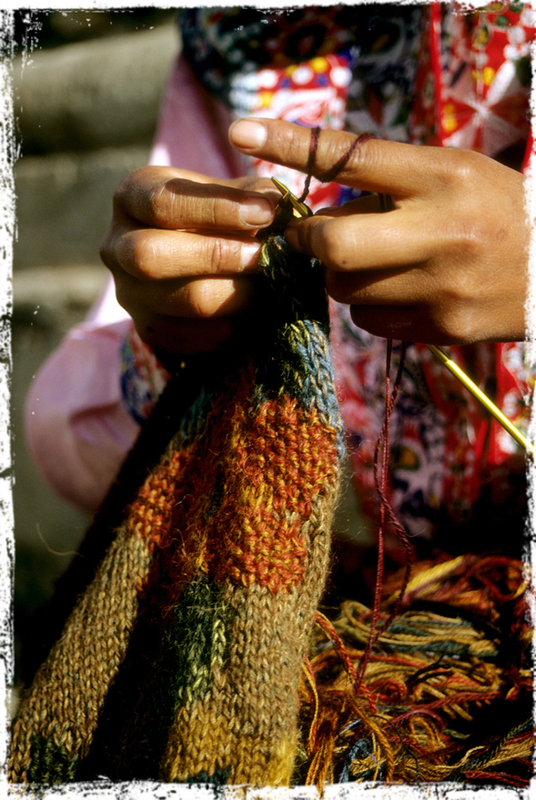 Unlike factory employment, hand knitting blends in beautifully with daily life in the Andes. Skilled hand knitters can earn an income as they travel on a train or bus, sell in the marketplace, take a break from harvesting a crop, or watch over their children at home. 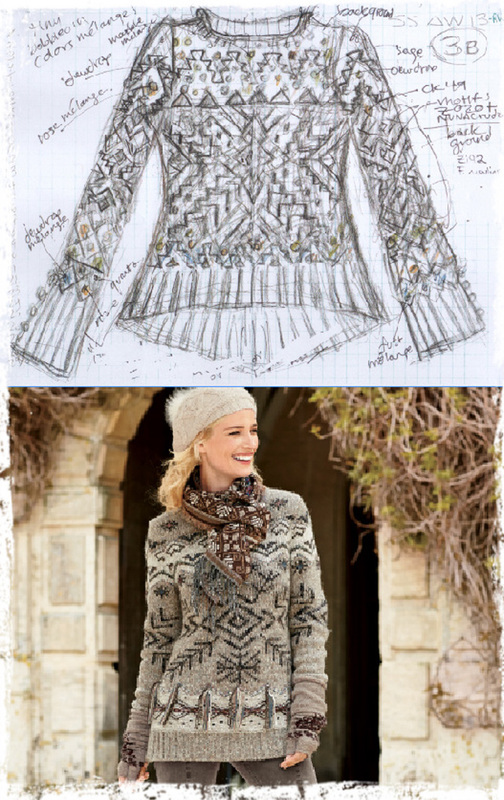 Kitzbühel Tunic: as a design sketch, and the finished product. It is a brilliant collaboration when these skilled knitters in Peru team with our in-house designers. The first prototypes are developed in our collection colors. Once the initial design concepts are refined, it may take a knitter several weeks to finish one of the more elaborate designs. At times the hand knitters are managing four different stitches at a time, keeping track of multiple yarns streaming down in tiny bobbins. 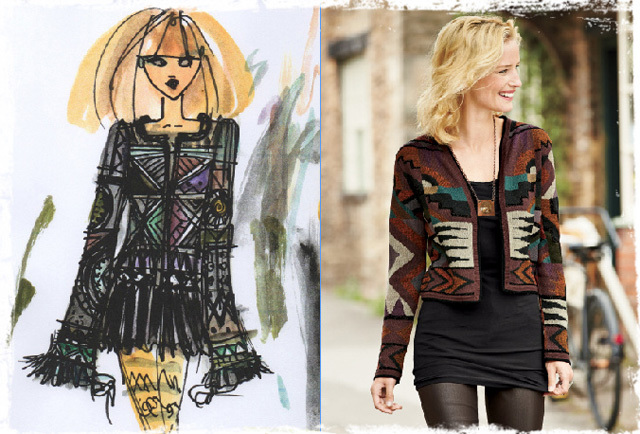 Huari Cardigan design and final piece. The hand knitters work with fine-gauge needles, changing colors and stitches several times each row. Some of our sweaters use dozens of colors – one best seller had over 70. Once the knitting is complete, there are hundreds of strands of yarn dangling inside of the garment that must be worked back into the fabric or carefully tied off. 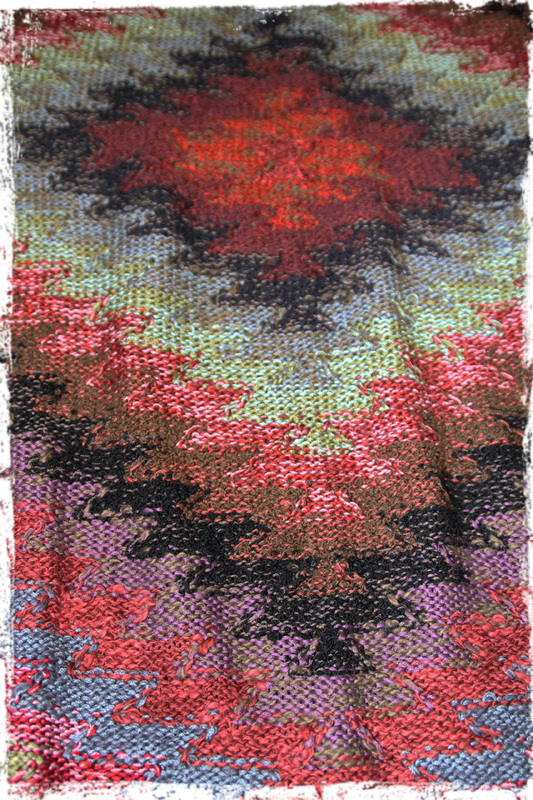 The inside of Kaffe Fassett’s Red Mesa Vest, revealing the careful finishing of dozens of yarns. Almost as daunting as hand knitting, many of our art knits and collectibles are hand framed or hand loomed. While this is done on a machine, it is an extremely complicated manual process involving no automation. When you choose an art knit, not only are you choosing a beautiful piece of clothing, you are helping to preserve a remarkable and ancient cultural tradition. Click to browse our current art knit collection.